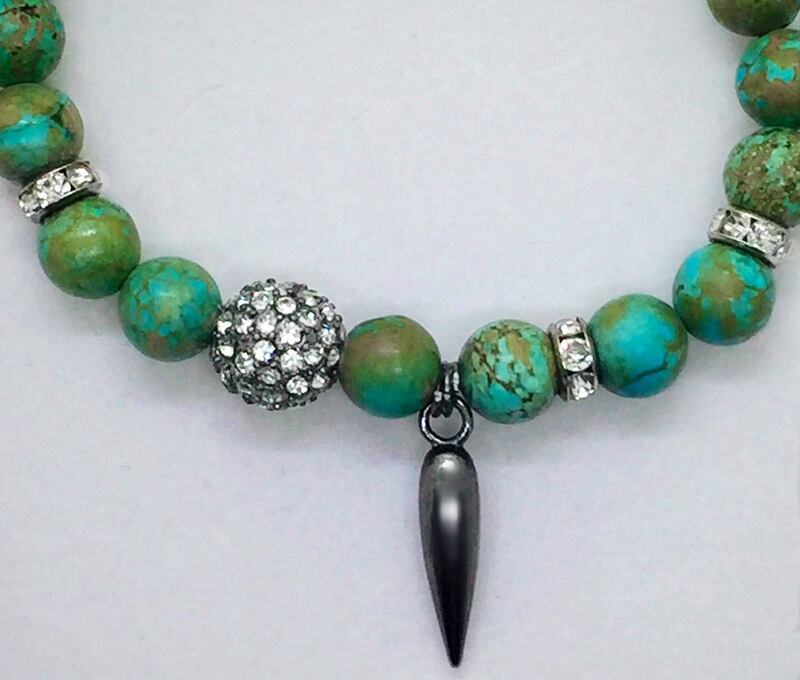 Turquoise beads Stretch Bracelet with a Swarovski Pave CZ crystals ball and gunmetal Spike charm. Valentines Day Gift. 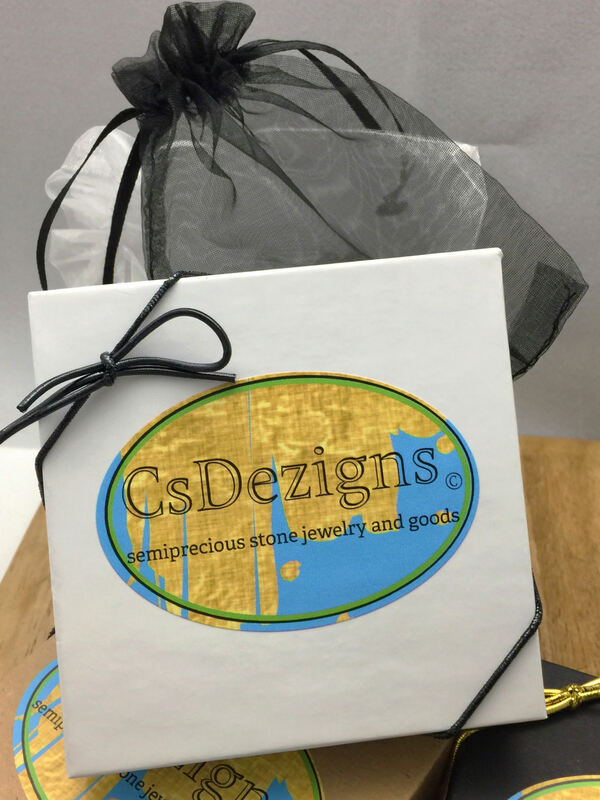 Boho layering healing jewelry with semi precious stones. Perfect for night out, beach, yoga or office. This listing is for one 7" bracelet, see pictures 2, 5 and 6. 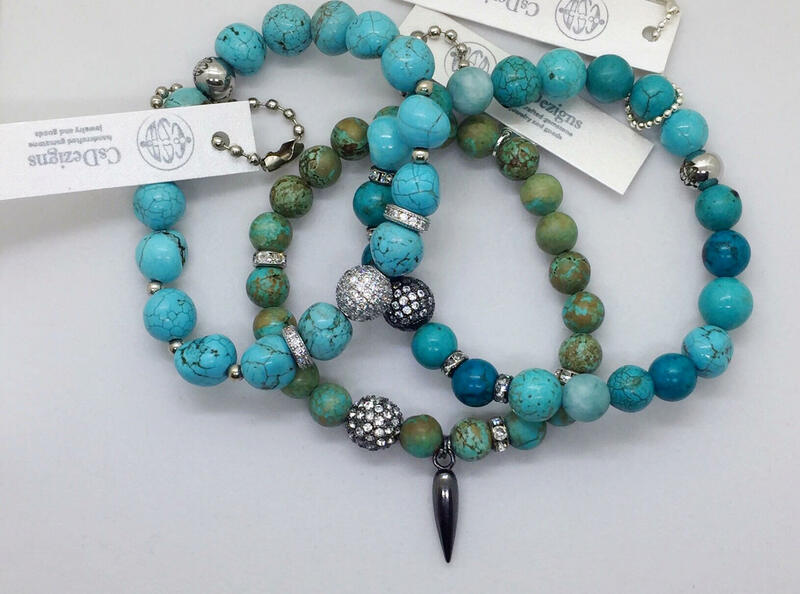 8mm-10mm Mixed Turquoise and Howlite Round Beads. One gunmetal (dark to black) plated, silver filled, 10mm, AAA micro pave CZ bead, richly inlaid with micro pave authentic CZ diamonds. Four gunmetal 5mm Swarovski Crystal rondelle spacer beads. Beautiful Sparkle. 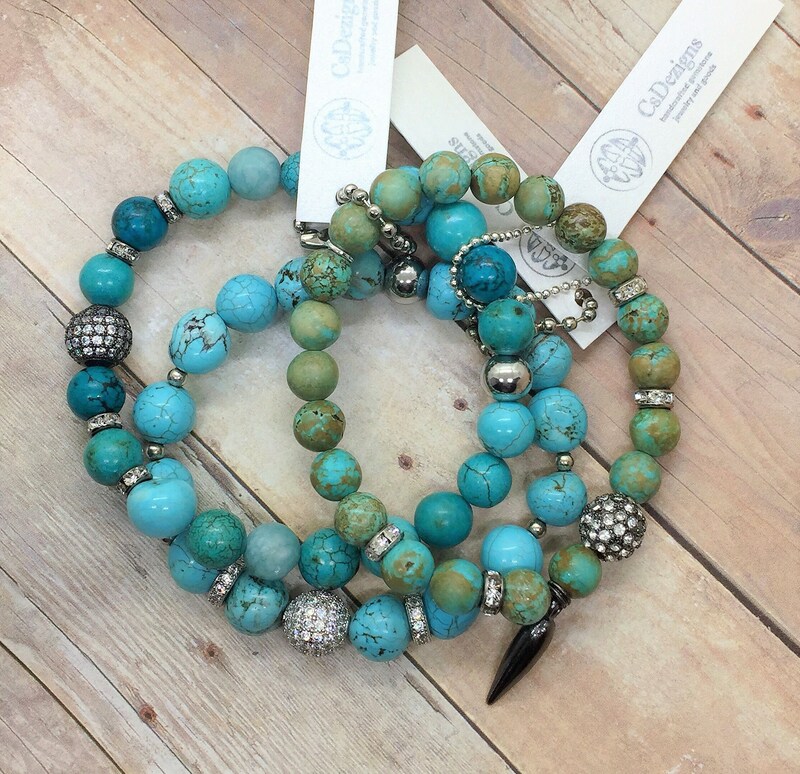 According to followers, the healing powers of Turquoise can benefit the whole body, with special strengths in healing ailments of the immune, respiratory, waste and skeletal systems. Recommended the healing powers of Turquoise for detoxification of alcohol, poison, pollution or radiation in the body, treatment of high blood pressure, asthma, infections, TMJ and dental problems. 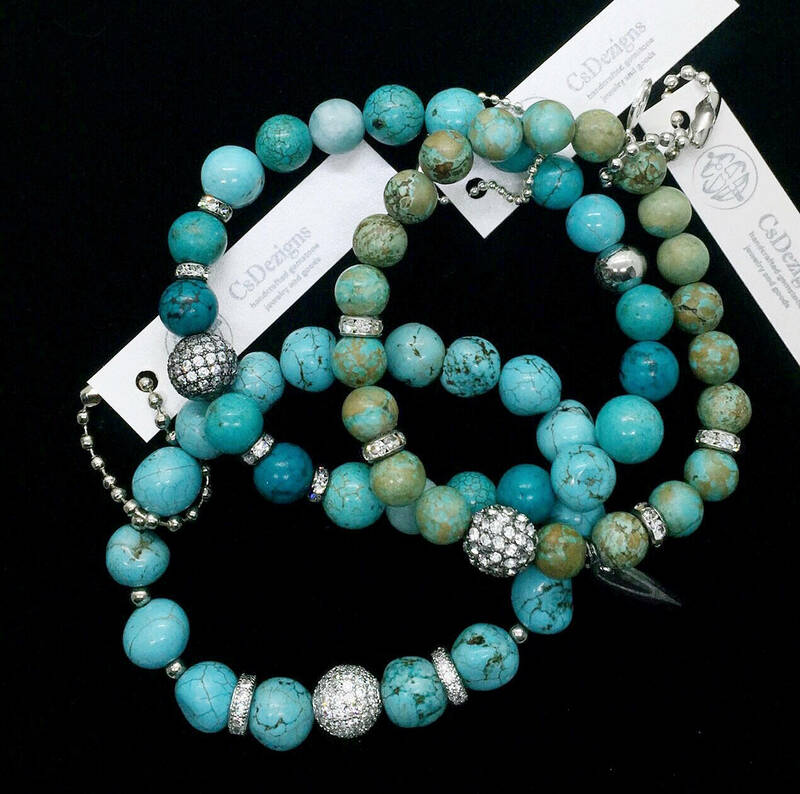 Turquoise also improves the mental state overall by increasing empathy, creativity, serenity, positive thinking, sensitivity, intuition, happiness and wisdom. A stone of friendship allows love and bonding. Strengthens personal convictions, courage and power. 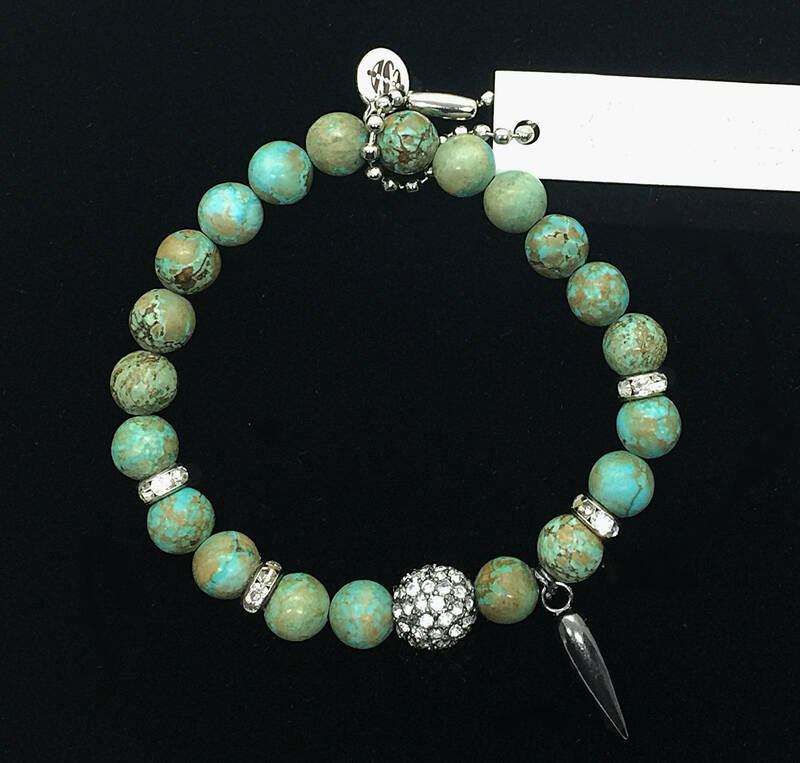 Turquoise is supposed to be a stone of communication. Assists with the fear of public speaking. 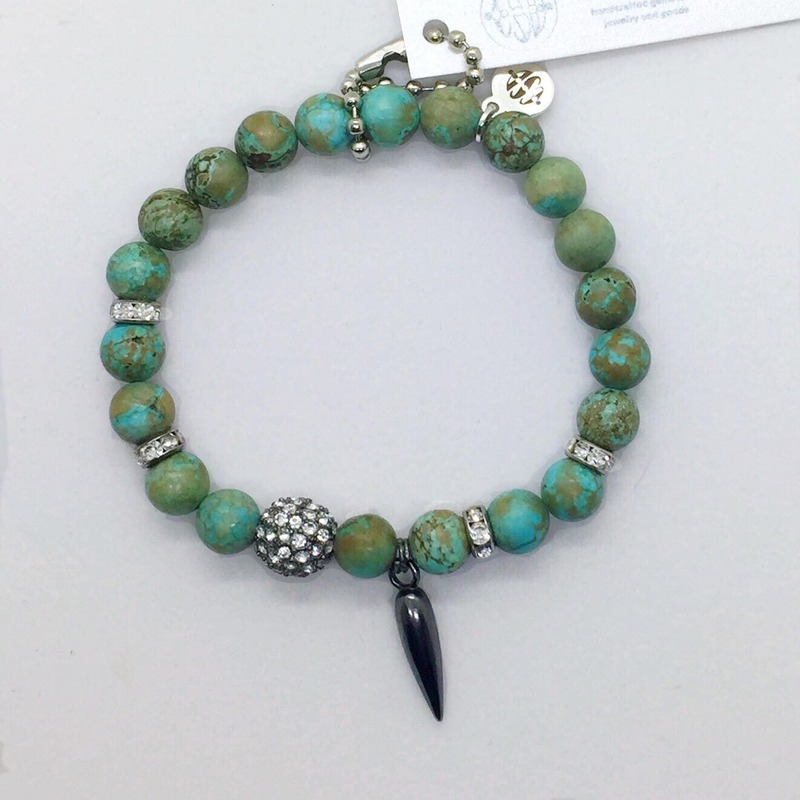 Turquoise has the ability to make a speaker more eloquent, loving, creative and honest. 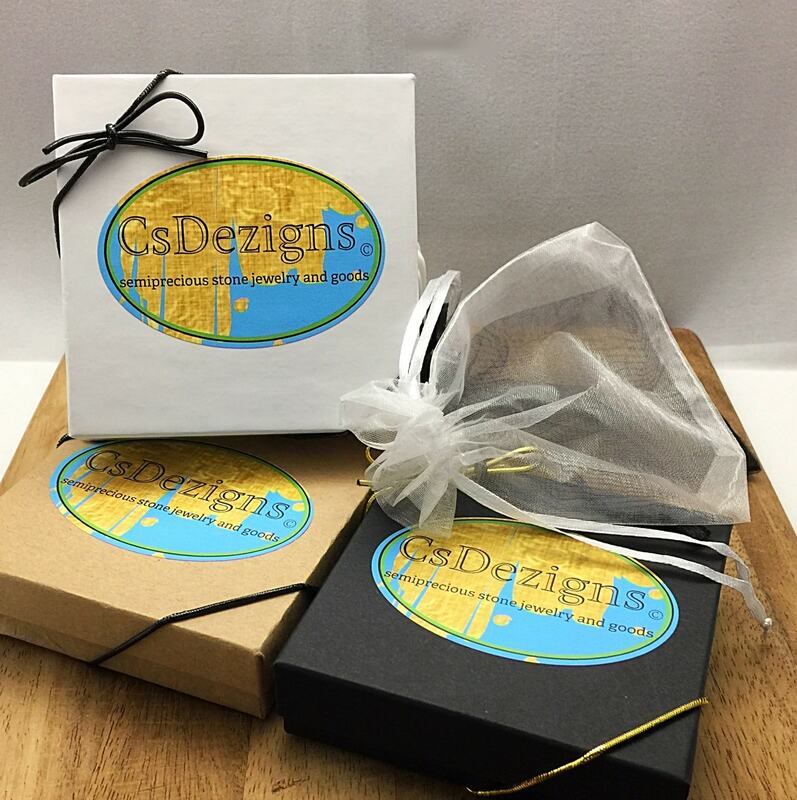 This bracelet comes packaged in a drawstring pouch placed in a gift box with stretch ribbon bow. Ready to be gifted!